I enjoyed the fact the venue is a refurbished prison and I really loved the location. The charm. 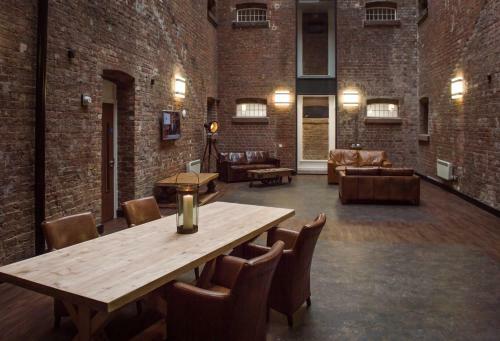 The old prison conversion is an awesome concept. The bathroom was very nice and it was exactly what we needed for a one night stay. Great value for money, really central and not on a loud street, though there were some noisy guests but just for a short while. Easy check-in. Blocking the deposit on the credit card for up to 7-14 days is a bit inconvenient. Small but cozy area for a one night stay in central Liverpool. 2 minute walk to the nearest ATM, tesco, food, etc. This hotel had everything we needed for a short break. The location was amazing as we were able to walk everywhere and didn’t need to get buses or taxis. Discounted parking was available in the next street which was very reasonable. My partner and I loved staying here and would definitely recommend to anyone wanting to stay in the centre of Liverpool. The fact that it’s a converted prison gave our stay that extra something, we found the history very interesting. Loved the fact that it was once a prison with some of the original features kept. The exterior is still painted prison blue and the doors to the rooms are the same size as the cell doors were. Maybe psychological but even in the middle of Liverpool, the hotel felt safe and secure! 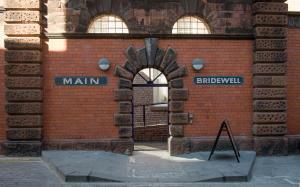 Lock in a great price for Caro Short Stay Main Bridewell – rated 8.5 by recent guests! One of our best sellers in Liverpool! 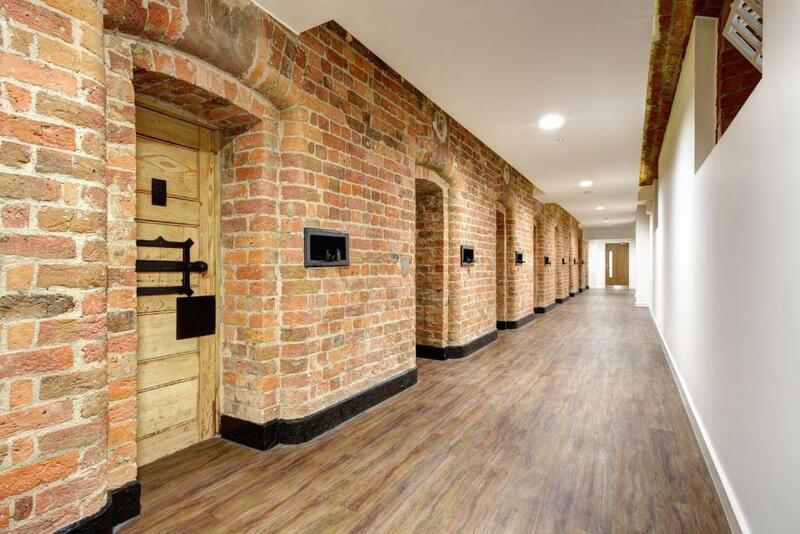 Located in a former prison and Grade II listed building in Liverpool's business district, Caro Short Stay Main Bridewell offers self-catering accommodations with a fitness center and free WiFi throughout. The property is 6-minute walk from Royal Court Theater and an 11-minute walk from Lime Street Train Station. Each room is en suite with a shower. Rooms come complete with a flat-screen TV, hairdryer and tea/coffee making facilities. There is a shared atrium for guests to relax in. Maid service is provided every other day. If you feel like visiting the surroundings, Liverpool ONE is an 11-minute walk away and Liverpool Cathedral is 1.3 miles away. Liverpool John Lennon Airport is 8.5 miles away. You will find cafes and a supermarket within a 1-minute walk of the hotel. When would you like to stay at Caro Short Stay Main Bridewell? This studio includes an interactive HD TV, stovetop, fridge, sink, hospitality tray, kettle and hairdryer. 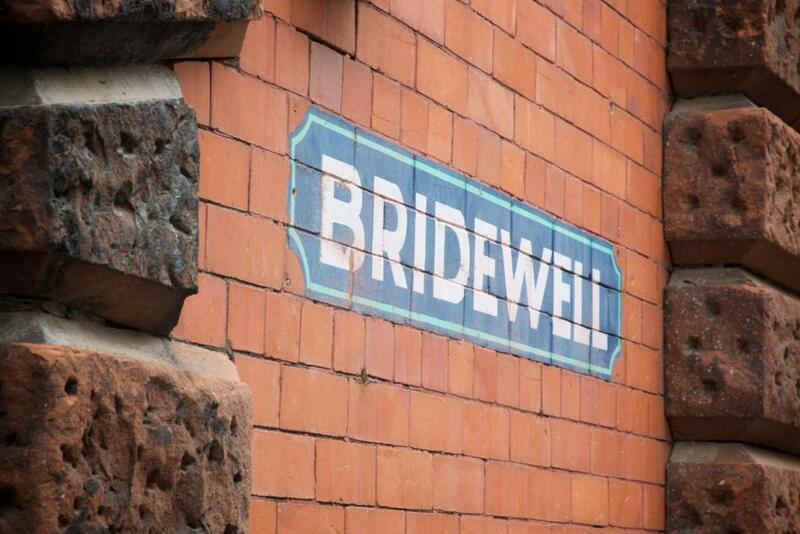 Kitchens can be booked prior to arrival by contacting the Bridewell directly, or requested upon arrival. The use of the kitchen is subject to availability and access or use cannot be guaranteed. Public parking is available at a location nearby (reservation is not needed) and costs GBP 8.50 per day. 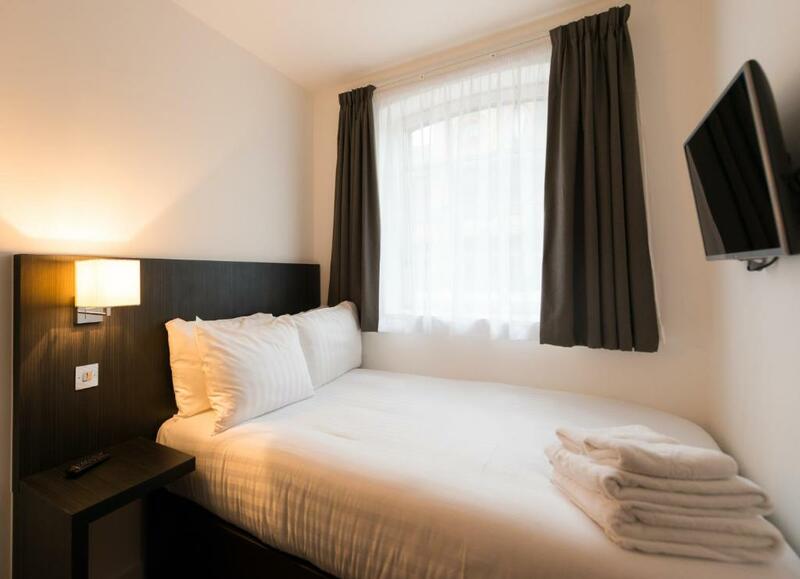 This double room includes an interactive HD TV, hospitality tray, kettle and hairdryer. This twin room includes an interactive HD TV, hospitality tray, kettle and hairdryer. We are close to the City Centre with Liverpool One within walking distance including the Albert Dock. 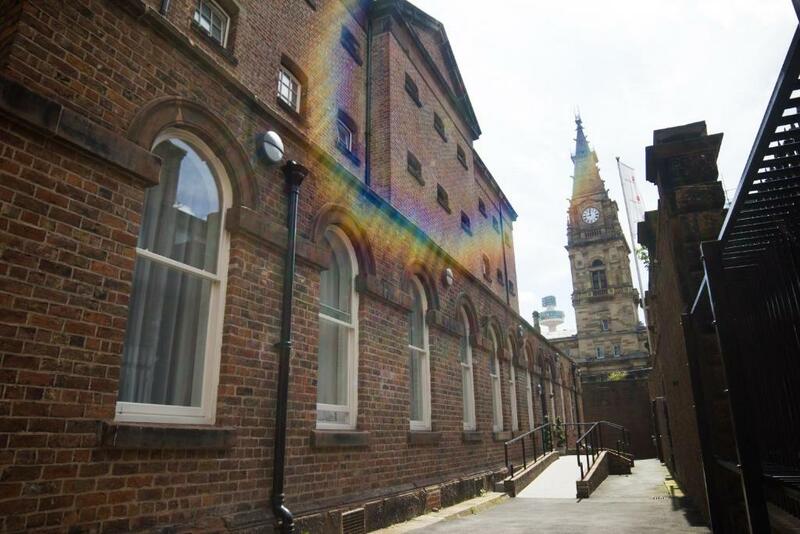 We are also within walking distance of Liverpool Lime Street & Moorfields train station. We are a Grade 2 Listed former Victorian prison which opened in the 1800's and shut down in 1999. After being left derelict for 15 years, we lovingly restored it into a budget hotel in Liverpool's historical business district. All our rooms are former prison cells and the building is filled with original Victorian features. We are located only minutes walk from the world famous Cavern Club, the home of the Beatles, and the Matthew Street Quarter, which is filled with bars, clubs and restaurants. House Rules Caro Short Stay Main Bridewell takes special requests – add in the next step! A GBP50 damage deposit is required on arrival (around USD64.69). This deposit will be fully refunded 14 days after check-out, as long as there isn't any damage to the property. Caro Short Stay Main Bridewell accepts these cards and reserves the right to temporarily hold an amount prior to arrival. Reception is open from 15:00 - 22:30 daily. If you are arriving outside these hours, please contact the property using the Special Requests box when booking or the contact details found on the booking confirmation. Additional charges may apply for arrivals after 22:30. A valid debit or credit card must be presented at check-in as a security deposit, cash is not accepted. The deposit is taken as a pre-authorization and may freeze the funds for 7-14 working days. Any damages or incidentals will be charged against this deposit. Breakfast is available Monday to Friday from 08:00 to 18:00, Saturday from 09:00 to 17:00 and Sunday 10:00 to 16:00. Bank Holidays may vary. A damage deposit of GBP 50 is required on arrival. That's about 64.69USD. This will be collected by credit card. You should be reimbursed within 14 days of check-out. Your deposit will be refunded in full by credit card, subject to an inspection of the property. Being able to stay in a prison is rather cool , and the inside is amazing with all the old features. I like that they’ve converted an old building instead of knocking it down.It’s in a very good position for sightseeing and for the local culture. Friendly staff beautiful building and fab location!! There is no chair to sit. You have to eat on bed. A little noisy at night. Light I mission from door and window. The room wasn’t very clean and the charm that it was a former prison was unoticeable in the room. It was extremely close to town. Dirty floors in room and bathroom Fixed shower head means hair get wet! Your accommodation met our requirements....no frills and quirky. Experience of being in a modified prison but struggle for a couple getting in & out of bed? The staff person wasn't at the front desk. We were banging on the door for 25 minutes before she showed up. When we explained we were waiting for a long time she blamed us and told us we should have called the phone number. We said we didn't have a working phone since we are international travellers and she rolled her eyes at us. I have never experienced service this bad before. We would have gone somewhere else if we didn't pre-pay. Place was ok but ruined by horrible service. Helpful staff, perfect location. great gimmick being an old prison. 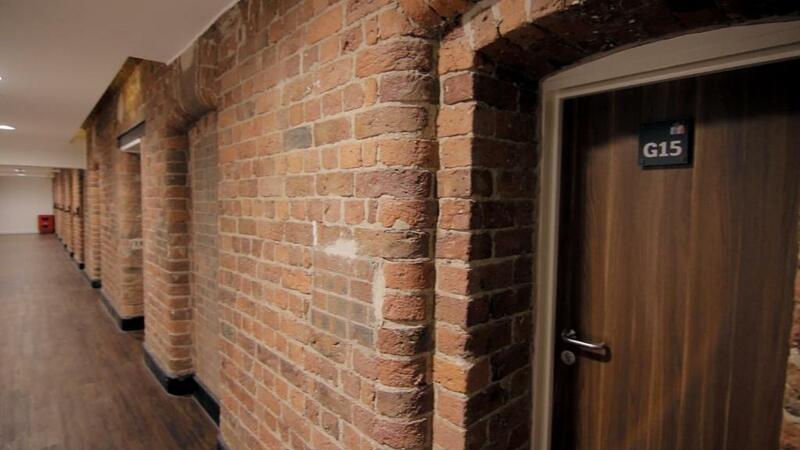 Amazing transformation from prison to hotel. Quirky, affordable and in a great location!